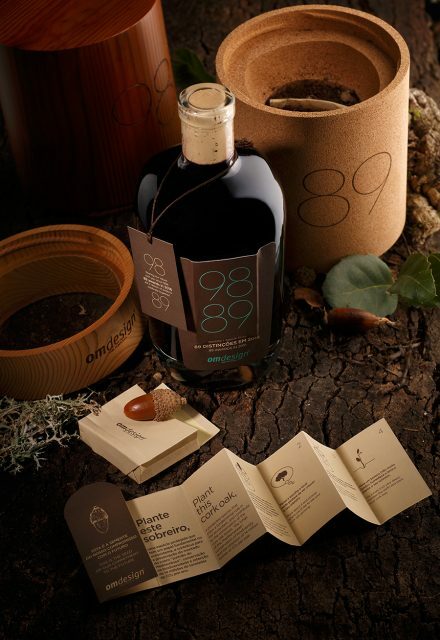 This clever, eco-friendly packaging comes from Portuguese design agency Omdesign. In keeping with its ethos of wanting to give back to nature, its latest design comprises a bottle of 2012 LBV Port inside a cork gift tube. Inside the tube is a real acorn, covered with soil, encouraging consumers to take part in Portugal’s cork oak forest preservation efforts. Once the tree begins to grow, the recipient can replant it to a permanent position in the ground and mark the area with the wooden ring from the centre of the package, creating a lasting monument to its design. The base can later be reused to collect more acorns and renew the cycle. Earlier this year Omdesign won the award for Best Sustainable Packaging at the Drinks Business 2018 Awards.